FORMER Namibian ambassador to Germany and Swapo activist Hanno Rumpf has died. Executive director at the ministry of international relations Selma Ashipala-Musavyi confirmed his death on Friday evening, but did not provide further details. In 1984, Rumpf was one of the few white Namibians who went into exile to join Swapo. 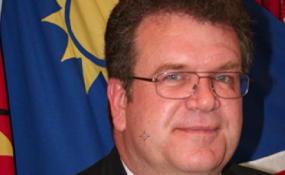 He also served three ministries as permanent secretary since independence and later served as Namibian ambassador to Germany, the European Union and the Benelux countries.